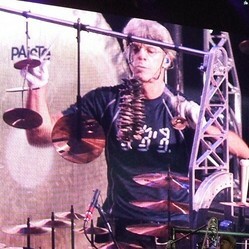 Stewart Copeland may be most widely known as the drummer for the rock band The Police. But he has also developed a notable career as a prolific and much in-demand composer for film and television scores. Unfortunately many of those scores have never been released as soundtrack albums or cds. This page is a discography of those Stewart Copeland soundtracks and scores which have been released and are available today. So if you are looking for Stewart Copeland music and want to explore more of his work as a film and television composer, read on! Enjoy this wonderful 30-minute interview with Stewart at Cinequest in 2007. He talks not just about The Police but about film scoring work through the years and his other compositional work. Releases featuring predominantly or exclusively Stewart Copeland's original scores and music. Stewart's score for the 1983 Francis Ford Coppola film Rumble Fish was a revelation and incredible piece of work bursting with creativity and inspiration. Coppola chose Copeland for the project in an effort to think outside the box; as the concept of time and "time running out" was so important to the theme of the story, Coppola wanted a drummer to create the soundtrack - believing that a drummer would have a far better understanding of the concept of time than anyone else. 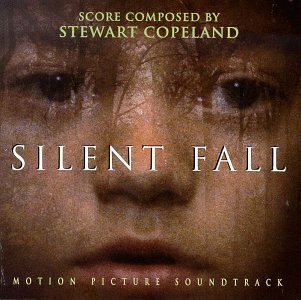 Although Stewart had no experience composing film soundtracks at the time, he was able to compose a brilliant piece of work which earned him a Golden Globe Nomination for Best Original Score in 1984. The score is a fascinating combination of rock instruments and drums (mostly performed by Stewart himself), strings, brass and samples of everything from typewriters to ticking clocks to railroad cars. 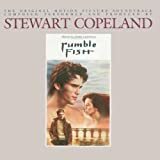 For more interesting information on this soundtrack, check out Notes on the recording of the "Rumble Fish" soundtrack by Engineer Robin Yeager. 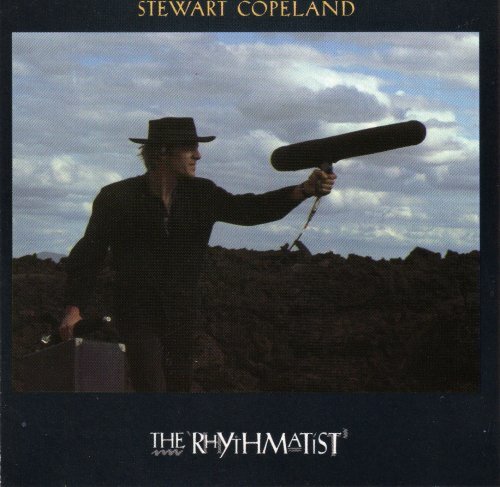 In 1985, Stewart Copeland released The Rhythmatist - a rather bizarre pseudo-documentary of his travels through Africa exploring the music (and of course drumming) of the continent. While the film itself might be one only appreciated by die-hard Copeland fans (and for its over-the-top camp factor), the resulting soundtrack is one of his most popular and highly regarded works. Featuring samples of African vocal chants, animals and rhythms combined with rock drum, guitar and bass, it's a highly unique recording. A number of tracks were composed by or in collaboration with the excellent Congolese musician Ray Lema. Stewart Copeland composed the scores for these two notable Oliver Stone films of the 1980s. 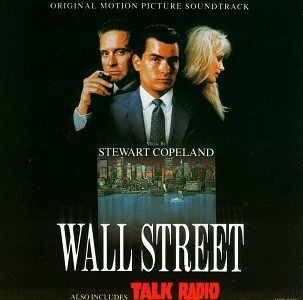 Of the two, the soundtrack to "Wall Street" is perhaps the most notable, particularly if you listen closely to the sound effects. In many interviews, Stewart has stated how, in watching the film, he thought to himself "Music is too good for these people; I hear dogs!" And yes, samples of barking dogs can be heard very subtly blended in to compositions for interesting effect. Featuring the Original Soundtrack Music of "The Equalizer"
Stewart Copeland composed the score for the first two seasons of the CBS drama "The Equalizer", starring Edward Woodward. Certainly his original, ominous and rhythmically-driven score added tremendously to the atmosphere of the show about a former secret agent now working as a vigilante-for-hire in New York City. 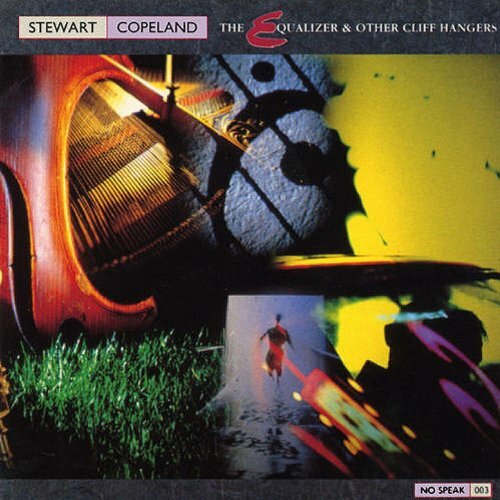 The opening theme music to "The Equalizer" is a fine example of Stewart's compositional style and sound in the mid/late-1980s. Theme is slightly reworked for the version on "The Equalizer and Other Cliffhangers". 1994's "Silent Fall" starred Richard Dreyfuss, Linda Hamilton and John Lithgow in a drama/thriller about an autistic child who witnesses his parents' double murder. 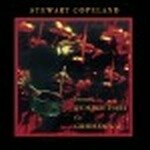 Copeland's soundtrack has a jazz-like vibe to it that I find quite different and interesting to listen to - it's a definite change in sound and orchestration to his synth-heavy soundtracks of the 1980s. This soundtrack also features beautiful work by Judd Miller on the Steiner EVI, and Miller's performances would often appear on other Copeland scores in the years that followed. Another curious film from the 1990s which Copeland scored was Kevin Reynolds's "Rapa Nui". Loosely based on the legends of Easter Island, the film documents a supposed "civil war" between two tribes and examined the mysterious stone statues that have remained a great mystery today. Copeland's score for the film is atmospheric, mixing pounding rhythms with soaring vocals and choirwork provided by the Kaeli'i O Nalani, Polynesian Cultural and Performing Arts Foundation of Los Angeles. This wonderful 1996 documentary by Hugo van Lawick features stunning cinematography of the animals of the Serengeti. 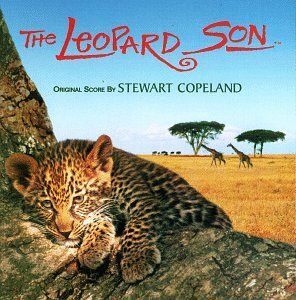 It's a must-see for nature lovers, and outstandingly complemented by Stewart Copeland's excellent original score. Featured musicians on the album include former Animal Logic bandmate and jazz legend Stanley Clarke, and again Judd Miller on "exotic wind instruments". 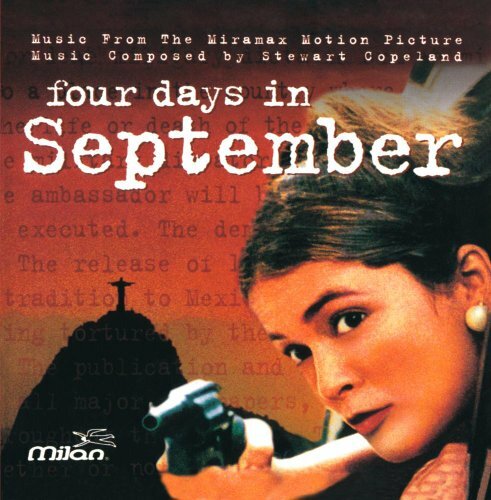 "Four Days In September" is an intense political drama surrounding terrorist activities during the Brazilian dictatorial regime of the late 1960s. As would be expected, there is a lot of tension and suspense captured in Copeland's film score, which here is performed by Judd Miller, Paulinho da Costa on percussion and Klebber Jorge on guitar. It is not perhaps one of my favorite of his scores to listen to, but the atmospheres are evocative and well-suited for the mood of the movie. The 1999 film "Simpatico" starred Nick Nolte, Jeff Bridges and Sharon Stone. It was based on a play written by Sam Shepard. The highlight of this soundtrack is another collaboration between Copeland and Stan Ridgway, on the track "Free Of It All". Fans of the Showtime dark comedy/drama "Dead Like Me" waited and hoped years for a soundtrack release, and finally it came about in 2010 in this limited-edition release from La-La Land Records. Stewart Copeland was absolutely the perfect choice to score this quirky series, bouncing quickly from dramatic tension to over-the-top wacky humor, and everything in between. Indeed, Copeland was nominated for an Emmy Award in 2004 for "Outstanding Music Composition for a Series" for his work here. If you listen to this CD you'll certainly understand why. "Out of Bounds", an action/thriller from 1986, starred Anthony Michael Hall, Jenny Wright and Jeff Kober and was not a major success. Even so it's still a rather fun example of a trashy 80s action flick, starring some of the popular young stars of the time. Stewart's score to the film is very similar in style and sound to the work he had been doing around the same time for television's "The Equalizer". The soundtrack also features a fun collaboration between Stewart and Adam Ant on the title song. If you enjoy 80s new wave you'll also want to get this album for the contributions by The Cult, Siouxsie and the Banshees, Belinda Carlisle, and more. Stewart Copeland provided the score to this 1990 comedy starring Charlie Sheen, Emilio Estevez and Leslie Hope. Sadly the album release only contains two tracks from Stewart: "Las Playas Dawn" and "Pink Panther No. 23", so it's definitely for serious collectors only. Other artists on the soundtrack include UB40, Ziggy Marley, Black Uhuru and Third World. 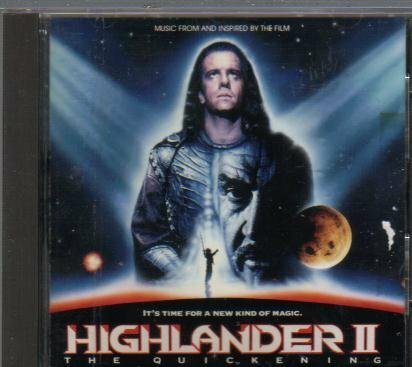 "Highlander II: The Quickening" was almost universally reviled by fans of the Highlander series and universe of characters. Perhaps not the best project Stewart has ever been involved in. The score music was performed by The Seattle Symphony and the soundtrack features other artists including Notorious, Heeren Stevens, and Lou Gramm (of Foreigner). Stewart composed the original motion picture score for the film Little Boy Blue, starring Ryan Phillippe, Nastassja Kinski and John Savage. 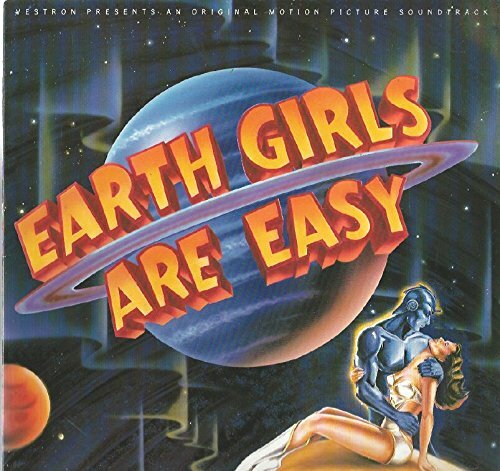 The CD only contains 6 tracks from Stewart's score, however - the rest of the disc contains other songs from the movie by artists such as The Derailers and Kim Wilson. Copeland scored this 1998 comedy by John Waters and starring Edward Furlong, Christina Ricci and Bess Armstrong. His sound certainly fit with the off-beat humor typical of Waters' work, and here he collaborates with several other artists leading to interesting results. There's the hilarious "Don't Drop The Soap (For Anyone Else But Me)" with Stan Ridgway for one, and "Straight Boys" recorded with Vicky Randle, Judd Miller and Michael Thompson. The album is about 50% Copeland soundtrack music and 50% other artists, so it's a pretty good one for a Copeland fan to have. 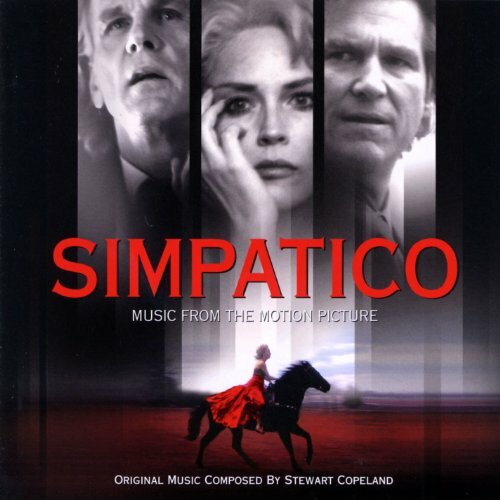 More Stewart Copeland soundtrack music and releases that don't fit elsewhere. The original music for this odd 1988 comedy was actually composed by Nile Rogers. 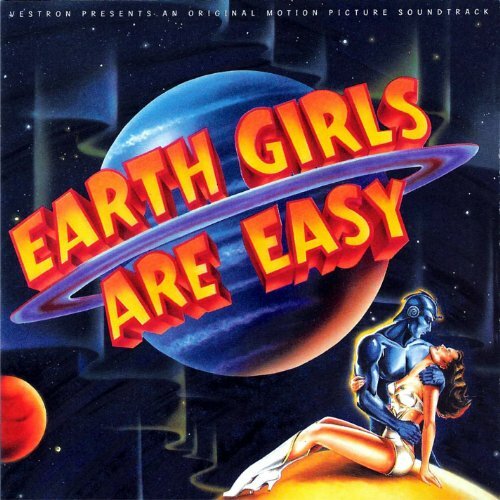 However, the soundtrack does feature one quirky and fun instrumental track by Stewart Copeland, "Throb." If you can find a copy of this rare promotional CD, consider yourself lucky! It includes 16 tracks from Stewart Copeland's film scoring career, including a number of pieces which have previously not been released before. There are selections from Stewart's scores for films including "Gridlock'd", "Wide Sargasso Sea", "Fresh" and "The Pallbearer".